There’s something about the colder weather that’s just so… blah. Some of us turn into big ogres starting in November, which only gets worse once the cheerfulness of the holiday season wears off in January. Ugh, winter. Am I right? It feels like there’s so much to be miserable about. And it’s easy to fall into that trap. This is the season when bad habits tend to flourish, with too many of us just giving in and waiting it out until spring comes to give us a bit of a mood boost. This year, don’t be one of those people. Making a conscious effort to change your attitude and break your negative mindset is so worth it. 1. Make sure you’re getting enough of that sunshine vitamin. Anyone who lives in a location with cold winters likely already knows about seasonal affective disorder (SAD). If you suspect you could be suffering from it, it would be best to talk to your doctor. He or she may give you a recommended dosage of vitamin D to take daily. According to some studies, supplementing with vitamin D is an easy and cost-effective solution to treating some individuals’ depression and other mental issues. Getting outside during the daytime or investing in a therapeutic light box are also ideal ways to naturally boost vitamin D levels. 2. Stay warm by exercising and moving around regularly throughout the day. Lots of people are cold and cranky because they don’t move around much in winter, and they don’t move around much in winter because they’re cold and cranky. It’s an endless cycle that can only be broken with—you guessed it—body movement. Both your cold body and cranky mind will benefit from a regular exercise regime in the winter. Exercise increases your body temperature while studies have proven that it also decreases anxiety/depression and boosts mood. 3. Lay off the caffeine. It might be tempting to down 14 cups of coffee a day to ward off winter’s chill, but caffeine is a serotonin killer. According to WebMD, research suggests that a serotonin imbalance can negatively affect people’s moods—sometimes enough to lead to depression. You don’t have to give up coffee or tea altogether, but limiting your consumption to just 1 or 2 cups in the morning might be helpful. Try caffeine-free herbal teas, decaf coffee or a healthy hot chocolate (hot water mixed with pure cocoa) to warm you up instead! 4. Eat healthy foods that boost serotonin. Taking care of your diet is another way to naturally boost your serotonin levels and put you in a better mood. Swap the sugary stuff and refined carbs instead for sources of lean protein and healthy fats (with plenty of veggies and fruits too, of course). Foods high in omega-3s are ideal. Choosing types of fish that come packed with omega-3s like wild salmon, herring, mackerel, sardines and anchovies will also give you a nice helping of protein at the same time. 5. Avoid drudgery at work and at home. Winter is pretty much the season of drudgery. Wake up, go to work, come home, lounge around for a bit, go to bed and do it all over again. No wonder so many people are in a bad mood! Aim to do anything and everything you can to shake your routine up a bit with things you enjoy and new ways to challenge yourself. Plan something fun at work with your coworkers, get back in touch with an old hobby, take on a new project at home or try getting involved in a new winter sport. Your mind needs it. 6. Talk back to your negative voice. Too many people don’t even realize that they’re just victims of their own negative thoughts. Telling yourself how much you hate how dark it is, how terrible it is to be cold all the time or how hopeless everything seems this time of year may really just be a bad habit you’ve unconsciously conditioned yourself into doing over the years. Start becoming more aware of your negative thinking and use that same voice to challenge it. Sure, it’s dark during the colder months, but is that really a valid reason to be miserable? It might be cold, but you’re the only one who’s preventing yourself from doing something to warm you up. This type of self-talk isn’t easy for stubborn folks because it requires quite a bit of open-mindedness and awareness, but with enough practice, this alone has the power to change your entire mindset. 7. Spending less time with electronics and more time socializing with friends and family. You know what’s super duper tempting? Burying your head in your laptop / tablet / smartphone until spring. Or having a Netflix marathon. Whatever offers the best distraction from the cold and darkness the most. Spending too much time in front of electronics pulls you away from your most important relationships and keeps your mind fixed on cheap sources of stimulation that don’t benefit you in the long-run. They can actually make you more anxious or depressed, and the light from your devices can really mess with your sleep cycle. Limit screen time for the whole family and pull out a board game. Make a coffee date with someone. Go for a walk with your partner or spouse and see how many houses you can count that have really great Christmas light displays. Whatever you do, don’t let your bad mindset get the best of you this season. You’re so much stronger than that! Categories: depression, SAD | Tags: depression, exercise, relationships, SAD, serotonin, vitamins | Permalink. Seasonal depression, often called seasonal affective disorder (SAD), is a depression that occurs each year at the same time, usually starting in fall, worsening in winter, and ending in spring. It is more than just “the winter blues” or “cabin fever.” A rare form of SAD, known as “summer depression,” begins in late spring or early summer and ends in fall. craving for carbohydrates, and accompanying weight gain. Approximately one half million of the U.S. population suffers from winter SAD, while 10 to 20 percent may suffer from a more mild form of winter blues. Three-quarters of the sufferers are women, and the onset typically is early adulthood. SAD also can occur in children and adolescents. Older adults are less likely to experience SAD. This illness is more commonly seen in people who live in cloudy regions or at high latitudes (geographic locations farther north or south of the equator). Individuals who relocate to higher latitudes are more prone to SAD. The exact cause of this condition is not known, but evidence to date strongly suggests that—for those with an inherent vulnerability—SAD is triggered by changes in the availability of sunlight. One theory is that with decreased exposure to sunlight, the internal biological clock that regulates mood, sleep, and hormones is shifted. Exposure to light may reset the biological clock. Another theory is that brain chemicals that transmit information between nerves, called neurotransmitters (for example, serotonin), may be altered in individuals with SAD. It is believed that exposure to light can correct these imbalances. How can I tell if I have seasonal affective disorder? It is very important that you do not diagnose yourself. If you have symptoms of depression, see your doctor for a thorough assessment. Sometimes physical problems can cause depression. But other times, symptoms of SAD are part of a more complex psychiatric problem. A mental health professional typically can evaluate your pattern of symptoms and identify whether you have SAD or another type of mood disorder. Research now shows that phototherapy, also known as bright light therapy, is an effective treatment for SAD. Sometimes antidepressant medicine is used alone or in combination with light therapy. Spending time outdoors during the day can be helpful, as well as maximizing the amount of sunlight you’re exposed to at home and in the office. Light therapy, sometimes called phototherapy, is administered by a device that contains white fluorescent light tubes covered with a plastic screen to block ultraviolet rays. The intensity of light emitted (Lux) should be 10,000 Lux. The patient does not need to look directly into the light, but reads or eats while sitting in front of the device at a distance of 2 to 3 feet. Light therapy is generally safe and well tolerated. However, there are some contraindications (e.g., conditions such as diabetes or retinopathies, certain medications) because of the potential risk of damage to the retina of the eye. Bright light therapy can cause hypomanic or manic symptoms; therefore, individuals with bipolar affective disorder require medical supervision to use light therapy. At what time of the day and for how long should I use light therapy? The timing of light therapy appears to affect the treatment response. 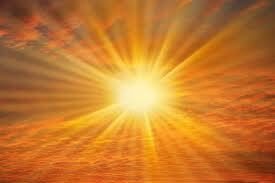 Recent studies suggest that morning light therapy is more effective than evening treatments. Using this treatment too late in the day may produce insomnia. Many health professionals today prefer to treat SAD with 10,000 Lux for 15 to 30 minutes every morning. Patients often see improvement within two to four days, and reach full benefits within two weeks. The symptoms of SAD return quickly after light therapy is stopped, so light treatment should be continued throughout the entire season of low sunlight. 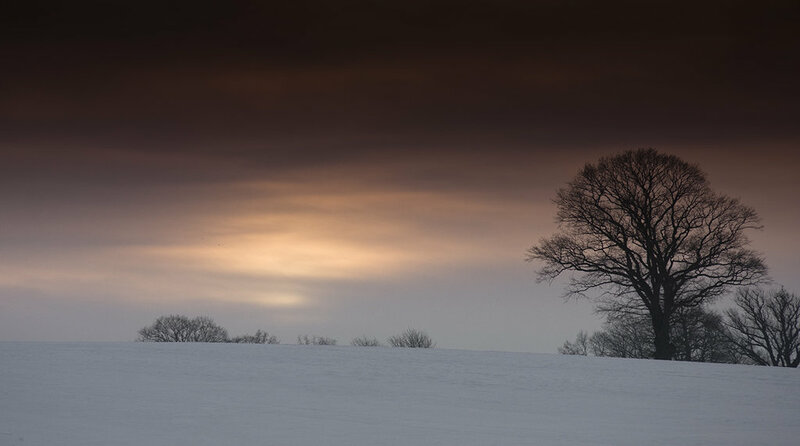 Can I prevent the onset of seasonal affective disorder? Begin using a light box at the start of the fall season, even before you feel the onset of winter SAD. Try to spend some amount of time outside every day, even when it’s very cloudy. The effects of daylight are still beneficial. Try exercising for 30 minutes a day, three times a week. Talk to your doctor about antidepressant medication if your symptoms are severe or persist despite interventions such as bright light therapy. If your symptoms become severe and you or someone you know are having thoughts of suicide, call your doctor right away or go to the nearest emergency room. American Psychiatric Association. Seasonal Affective Disorder Accessed 11/11/2013. American Academy of Family Physicians. Seasonal Affective Disorder Accessed 11/11/2013. National Institute of Mental Health. Properly Timed Light, Melatonin Lift Winter Depression by Syncing Rhythms Accessed 11/12/2013. Categories: SAD | Tags: depression, light, phototherapy, SAD, sun | Permalink. Do you find yourself slinking away from that familiar face across the aisle in the grocery store? Do you find yourself ducking into the chips and pop section for some snacks? Do you notice yourself becoming lethargic and losing pleasure in activities you are normally jazzed to do? Feeling like your mood is starting to dip? You may be starting to feel the beginning effects of seasonal affective disorder or SAD. This is a common syndrome, especially for cities that tend to be rainy or grey for the majority of the wintertime. Don’t believe what you think you are feeling. Unlike much of the time when we listen to our bodies or emotions to tune into our needs, when season depression hits, you need to do the opposite. Do not act on how you feel. It’s likely you feel like staying home, getting into bed and pulling the covers up over your head. And if you listen to this feeling, unfortunately, things tend to spiral downwards and get worse. Try to get out of the house several days a week, even if it is for a small walk or errand. It may not make you feel better immediately, but over time this tends to spiral your mood back upwards. Make plans with people… and keep them. One of the unfortunate aspects of seasonal depression is the way in which people tend to isolate themselves. We always want to put our best foot forward and be engaged, mindful and positive when we are around other people. Unfortunately, if we don’t feel this way we keep ourselves separate for fear of being a burden or feeling like a negative force. The problem is, once we start to avoid social situations, it gets easier and easier to sink into a cycle of avoidance. The cycle becomes harder to break over time as we feel increasingly depressed and experience a sense of relief at not having to socialize. Connect with people anyway, even if it feels awkward at first. The people in your life may surprise you by welcoming a different aspect of your experience and being open to supporting you. You may even find that other people open up to you about their struggles and you create a deeper sense of intimacy in your relationships. If you are someone who already does this, keep doing it! If not, you may want to get help with this part. It is very easy for the hours and days to slip by unnoticed as we fall further into a depression and suddenly life can lose all sense of routine and normalcy, which tends to make people who are depressed feel even more isolated and out of sync with others. Eat and sleep in regular intervals. Set a standard bedtime and waketime and stick to it for a week or so until it becomes more regular and easy to do. Eat by the clock and not by your stomach. Most people who are struggling with seasonal depression do not feel hungry at all…or tend to overeat. Even if all you can manage is a piece of fruit or a granola bar, just nourish yourself. Many people who become seasonally depressed tend to think more negatively, especially towards themselves. You may find yourself focused in a critical way about things that are bad in your life or wrong with you. Or you may be disappointed or angry with yourself about feeling depressed. This tends to make things worse. Be kind to yourself. This is the most difficult task for many clients who I work with that feel that they don’t deserve kindness or worse, do not know how to be kind to themselves. Just start somewhere. Light a candle and listen to electronic ambient tunes on Songza. Go to a bakery and take in the smell of freshly baked bread. Wear a piece of clothing you feel good in. Take a walk in a park or by water. Whatever brings you a sense of peace, nurture or soothing. We need to start by making ourselves feel better, bit by little bit. This is something to practice when season mood dips occur, but also as a practice for enjoying life in general. Sometimes the most simple things can be the hardest to remember. Categories: SAD | Tags: depression, SAD | Permalink. Maintaining sufficient levels of vitamin D in the body is not just good for physical health, it can also help protect against depression and promote good mental health, a new study finds. Researchers looked at over 100 leading articles for a connection between depression, seasonally affected disorder and vitamin D levels (Stewart et al., 2014). “Seasonal affective disorder is believed to affect up to 10 percent of the population, depending upon geographical location, and is a type of depression related to changes in season. People with SAD have the same symptoms every year, starting in fall and continuing through the winter months. and is linked to good mental health. We believe there are several reasons for this, including that vitamin D levels fluctuate in the body seasonally, in direct relation to seasonally available sunlight. Research has also repeatedly shown a link between low levels of vitamin D and depression. “What we know now is that there are strong indications that maintaining adequate levels of vitamin D are also important for good mental health. Categories: SAD | Tags: depression, SAD, vitamins | Permalink.